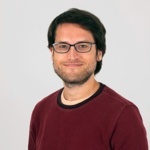 John Mueller is a Senior Webmaster Trends Analyst at Google. 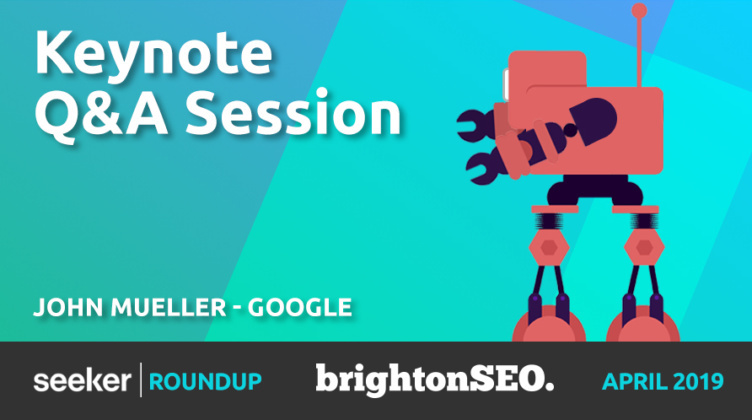 He works to aid the often-contentious relationship between Google and webmasters (plus the SEO industry overall), and this, his latest keynote appearance, was another opportunity to glean some Google insight. What was the keynote about? A relaxed start gave the impression that the session might pass fairly uneventfully, but a whiplash-inducing change in tone made it clear that Hannah Smith wanted some meaningful answers and wasn’t going to accept anything less. For the rest of the keynote, she was relentless, asking about vital matters such as rich results depriving webmasters of clicks and Google lacking promptness in updating SEOs about no longer using rel=”next” and rel=”prev”. John Mueller took Hannah Smith’s grilling fairly gracefully, but we certainly came away from this keynote discussion with some interesting impressions about how Google operates. For instance, the Webmaster Analyst team struggles with being internally prepared for reporting to SEOs, and doesn’t have enough staff to answer the questions. Given how late the updated on rel=”next” and rel=”prev” was, and how cagey the provided information tends to be (having to toe the PR-friendly line), SEOs should be thinking about how they could rely less on insight from Google. Besides, it would be unreasonable to expect more information than we currently get, ripe as it would be for abuse. The Webmaster Analyst team isn’t entirely sure how to gauge its success. CTR isn’t used to adjust individual results — merely to adjust the algorithm overall. Google has an internal emergency procedure entertainingly titled “OMG”.